Chemicoat Gravure Heat Resistance Blister Aluminium Foil inks are designed for surface printing on washed Aluminium foil. Jujo Chemical (india) Pvt. 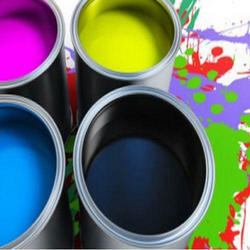 Ltd.
Paper inks are available in different resin and solvent systems using pigments, dyes or both as per specific use. These inks are widely used in soap wrappers and gift wrappers. Colour System: Opaque & Transparent Inks. Quantity Per Pack: 5 kg. Shelf Life: 6-8 month after open it. We are a well-renowned organization in the industry to provide our patrons the best quality array of Heat Resistant Printing Ink. Leveraging over the skills of our qualified team of professionals, we are instrumental in offering wide range of Heat Resistant Ink. We are offering Heat Resistant Inks to our client. As an acclaimed enterprise of the industry, we are involved in offering a broad range of Heat Resistant Ink. - application for high heat resistance requirement, suitable for surface printing aluminum foil. Deep Freeze Fat Resistant inks for high quality Surface printing applications. Optimized to give best printing results. Poly Deep Freeze Resistant Inks are exclusively formulated with high Molecular weight, non-migrating plasticizer resins. 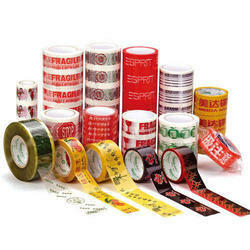 Manufacturer & Supplier of Heat Resistant Ink & Heat Resistance Blister Foil Inks. Our product range also comprises of Rotogravure Inks, Flexographic Inks and Industrial Inks.